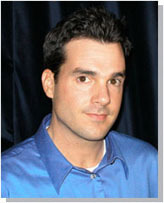 John Reese (TrafficSecrets.com) - Articles - The 'Game' Is Changing, Are You? Internet users' inboxes are full. They are loaded with junk and they are tired of the hassle. Opt-in rates are on the decline -- and they will continue to fall. That's right. Many people see Email marketing dying completely. Many marketers are already positioning themselves to do business without it. Why are they preparing to do without it? Because it's just going to be too much of a hassle to get people to opt-in. And if that's not enough, it's going to be such a hassle to get around spam laws, filters, and other nuisances. I'M PREPARING TO MAKE MORE MONEY THAN EVER FROM EMAIL MARKETING. That's right. I'm planning to make more money than I already do with Email marketing. As an alternative to Email marketing, many of them are running to start BLOGS. If you haven't heard of it yet, "blogging" is basically like keeping an interactive diary on a web site. It's another way to publish information on the Internet. Blogs ARE a good marketing vehicle. In fact, there are many people that are profiting quite nicely by running a blog. You should check it out. He writes a lot of great stuff and it's fun to read the "comments" that some of the readers post on the blog's site. But let's get something straight! Blogs are *NOT* going to replace Email marketing. It's not gonna happen. I do think blogs ARE a great publishing tool for increased exposure and can improve someone's marketing, but Email marketing still has many major advantages. If your marketing message can be delivered to the same place that a personal note from Grandma is, it's more effective than any alternative. I'll just leave it at that. So again, blogs aren't going to replace Email marketing, but they are a great *additional* marketing tool to use. Heck, I'll probably end up with a little blog for MarketingSecrets.com sometime soon. Anything that brings you more exposure (i.e. more prospects) is a "good" thing. As it becomes harder and harder to use Email marketing it represents a fantastic opportunity for marketers willing to put in the extra WORK. If you haven't figured it out yet, the people making the big bucks online are some of the hardest working folks around. That "work" usually translates into DIFFERENTIATION. Being different from other marketers and competitors to separate themselves from all the "noise" online. But most people aren't willing to do the extra work, and so those that are end up making more money as a result. Aside from having to comply with legislation (i.e. most likely using double opt-in methods and keeping detailed records of all subscriptions) and getting around spam filters, the biggest challenge will be getting the opt-in. Opt-in rates have been on a steady decline and it's no surprise as to why. People are just overloaded with email. In order to get someone to opt-in to YOUR list, it's going to come down to the OFFER -- the backbone of selling. The Opt-in itself has evolved a lot in the past 14 years that I've been marketing online. You used to be able to put up a simple form that just said, "Get my newsletter" with no other description and people would opt-in by the truckload. Now I don't mean "sell" as in charge money for it. I mean "sell" in relation to salesmanship and marketing. You need to make your opt-in a compelling OFFER. It's going to become so hard to get people to freely opt-in to your list or autoresponder course that you will really have to WORK to get them to do it. But before I go any further, I will say this. THE WORK WILL REALLY PAY OFF. Mark my words. Marketers that ARE able to successfully continue using Email marketing will CLEAN UP in the near future and beyond. This page only has to be a couple scrollable pages in length. You can create a very short version of this that will be very effective. So you will have a benefit-drive headline that is related to WHAT THE HECK THEY WILL GET OUT OF joining your list. Then you will briefly describe why they should get it and also use several bullets to illustrate this. You need to give it an implied value. You can do this by saying, "This course is a $97 value." Then the most important part of all -- A BRIBE. Offer a free bonus gift if they opt-in right now. You might be reading this thinking I'm off my rocker. I can assure you, I'm not. In fact, I've been using this exact opt-in model with several of my projects (non-marketing related) for nearly two years now. This *IS* the future of the opt-in. Mark my words. You'll also find, like I have, that the more 'effort' it takes your prospect to opt-in (such as reading a little sales letter) the more RESPONSIVE they will be to offers from you. It's a FACT and I have several years of data to back it up. But the reason for this is simple -- they are more qualified by the time they join your list. Right now you are probably using pop-up or pop-over boxes to capture opt-ins -- whether on entry or on exit. You might also be using a little opt-in form mixed in with content on some of your web pages. CONTINUE to use them to collect opt-ins. Keep using them until the opt-in rate drops so badly that it isn't worth wasting that precious online real estate on your site. But while you continue using these methods, and looking into the future, you NEED to also setup a SEPARATE PAGE for each opt-in list you're building using the "mini sales letter" model I have described above. On all your opt-in boxes that you are currently using you can have links such as "Click here to learn more..." or "Click here to learn how to get a $197 gift today..." etc. etc. And those links will go to this new sales letter opt-in page -- because that page WILL "close" (i.e.get them to opt-in) some people that would not have joined from the small opt-in form you are currently using. Here's another tip. Register a domain name specifically for your list. When you send messages to your list, your "From" address, unsub URLs, and everything else mentioned in those emails will promote this domain name. If a subscriber ever wonders what list they are on or why, they can always go to that domain name. And what will they find when they get there? The mini sales letter that sold them the opt-in. This will reinforce their decision to KEEP their subscription. So don't run and hide from all the Email marketing challenges that are appearing. EMBRACE THEM AND PROFIT.